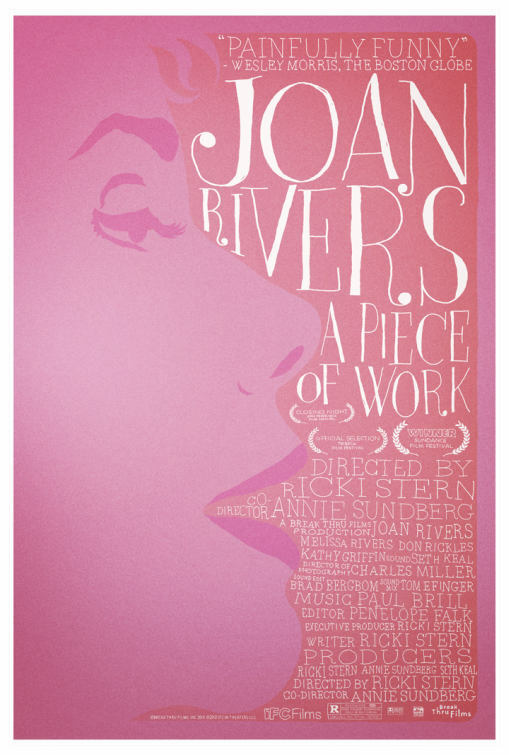 Joan Rivers: A Piece of Work Poster | personal.amy-wong.com - A Blog by Amy Wong. Is it time to watch it yet? When is it coming out on DVD? This is a gorgeous poster, isn’t it? I really liked this movie. I'd gotten tired of Rivers over the years (I liked her before her red carpet gig), but this gave me a new respect for her. I never knew she was a comedian… I just figured she was a red carpet person… crazy and funny xD she was just sort of there, and then everyone tried to be her on E! – I really really hate E! carpet coverage now.